“Welcome to Banjee Burger, I cannot take your order” – because Le1f is already on his way! The rapper, artist and queer icon will be bringing his signature sound to Jack Rabbit Slim’s and shutting the party down. Last time Le1f played a show in Perth it was amazing! Openly gay, connected to some of the most interesting visual artists, with a background in ballet and a creator of the most distinctive electronic music available, Le1f is so much more than any of the pigeon holes people try to put him into. While rap music has links to some of America’s toughest neighbourhoods, Le1f’s background is a long way from the ghetto. He grew up in Manhattan and was surrounded by culture. 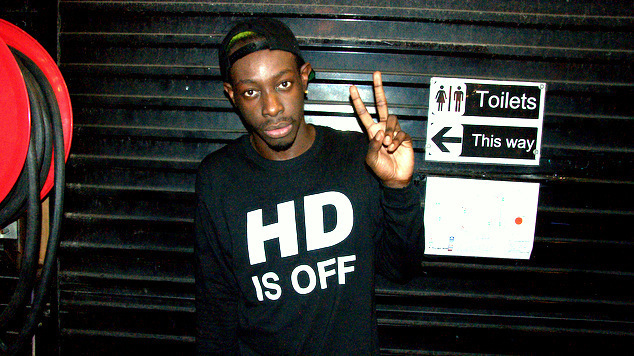 Speaking to OUTinPerth from NYC back in 2012 Le1f described his Big Apple upbringing as a lot of fun. Born Khalif Diouf, the artist grew up near Times Square in the centre of New York City. He got an early start in music, producing the underground sensation ‘Combination Pizza Hut and Taco Bell’ for Das Racist when he was just seventeen years old. Since then he’s put put and series of mix tapes and has just released his debut album ‘Riot Boy’. Le1f’s high-energy performance style, dance training, bold sexuality and creative flair combine for a totally heart-stopping show. You don’t want to miss out on a kiki with the Riot Boi.